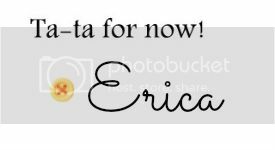 Actually Erica: Winter Storm a Comin! Hey guys! I don't know how the weather is in your neck of the woods, but you'd think it was Winter by how it's acting outside. Right now we just have a rain/freezing rain mix, but later on this evening the white stuff is supposed to be a fallin! That makes me one HAPPY girl. Of course I have to run out to the store and pick up a few things. Then I'm gonna run back home and hibernate a while...throw on some stretchy pants, drink something hot, and catch up on PLL. (You realize it picks back up again in just 6 weeks...yay!) Keep your heads covered and stay warm. I'm dreaming of a white Thanksgiving!!!! MOTD: Neutrogena Healthy Skin foundation, Ben Nye Banana Powder, MAC Pro Longwear concealer, Elf 'Brown Eyes I' 6 pan palette, Stila smudge stick in Stingray, Stila major MAJOR lash mascara, MAC Viva Glam VI, Revlon Bronzed and Chic bronzer, Tarte AC blush in Dollface.